Professor Don Nutbeam has taken up his position as the new Vice-Chancellor of the University of Southampton this week (Thursday 1 October). A world-renowned expert in public health, Professor Nutbeam was previously Academic Provost at the University of Sydney. 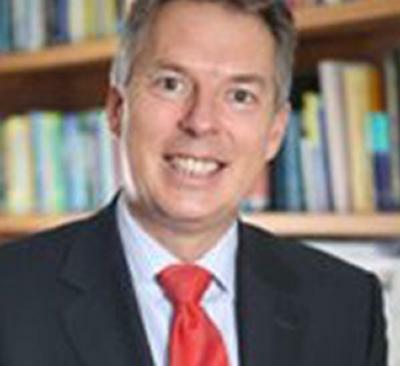 A Southampton alumnus, Professor Nutbeam has returned to the UK to lead the University at which he completed his postgraduate education in the 1980s. He is the ninth Vice-Chancellor to hold this role since the University was granted its Royal Charter in 1952. Professor Don Nutbeam's career has involved senior positions in universities, government, health services and an independent research institute. Between 2000 and 2003 he was Head of Public Health in the UK's Department of Health, leading policy development within the Department and across government on a range of public health challenges. Commenting on his new role Professor Nutbeam said: "I feel very privileged to be returning as Vice-Chancellor to the University where I completed my postgraduate education. "Southampton is a world-class university and I admire and respect the successes that the University has enjoyed under the leadership of Sir William Wakeham. Building on this foundation, I look forward to working with the many highly talented staff and students to achieve continued improvements in the quality, relevance and impact of our teaching and research." From 1985 to 1990, he was a co-founder and Research Director of an independent research program - the Welsh Heart Program. 1988 to 1990, he was Director of Research and Policy Development for the government agency - Health Promotion Authority for Wales.